If you are buying or selling land and recreational property in Maine, you will find few agents with the knowledge and experience that Phil brings to the table. Phil’s land sale volume, education, experience and peer review have qualified him to be awarded the ALC (Accredited Land Consultant) designation by the Realtors Land Institute. This designation is awarded on a national level to only the best of the best in the land business. Phil lives in Lincoln, Maine where he and his wife Carmen successfully raised two independent daughters. Phil is a member of the Small Woodland Owners Association of Maine and a supporter of the Forest Society of Maine. 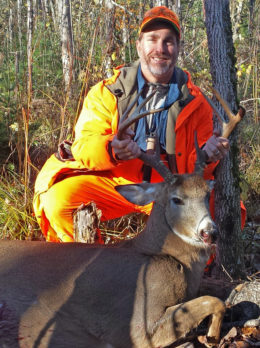 When not working in the real estate business he enjoys preparing a good meal, photographing Maine landscapes, fly fishing clear cold rivers, hunting for that allusive big whitetail and improving the timberland he owns with his brother.